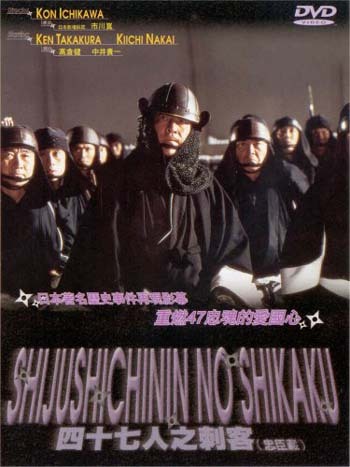 Oishi Kuranosuke (Ken Takakura), a chamberlain of the Ako-Asano Clan loses his master to Seppuku. The Asano Lord was forced to commit suicide because of his provoked attack on Lord Kira during the reception for the envoys. In the aftermath, Oishi disbands the clan publicly and at the same time recruits a crew of 47 samurai. They patiently prepare their plans for a year and a half and then storm the fortress of Lord Kira in a mission that-succeed or fail- will ultimately end in their deaths. See list of other movies and television dramas based on the story of the 47 Ronin. Genesis Dec 23 2013 12:22 pm So this film has been re-made again by Keanu Reeves, have not seen the first two of this film but I will be going to theatres this Christmas to take a look at a movie, I hear through numerous new articles Keanu Reeves worked extremely hard on. I truly hope it lives up to the hype!! !